Spider webs, holograms, towel marks, swirls . . . Car guys tell us that eliminating them is their number one problem. 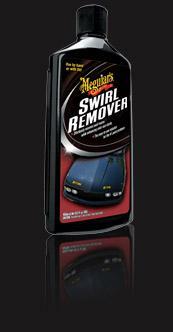 In response, we’ve developed SwirlX to easily remove swirls and light scratches from all paint finishes. Formulated from our expertise in the paint industry, SwirlX is clear coat safe and consumer friendly. In addition, Swirl Remover can be applied by hand or with our DA polisher and leaves a brilliant, swirl-free surface that maximises gloss and reflectivity. Effortlessly removes light swirl marks while enhancing colour and clarity. Easy to use solution for the #1 paint problem.